When you're looking to make the most of a large room in your home, it's important to send the right message with your interior design choices. Many lessons on decorating a large room in your home can be taken from businesses and public spaces. Depending on the purpose of the room, you may want to emphasize coziness and comfort, or if the room is meant for entertaining a large group of people, modern style and creating a unique sense of place can be the more important approach. Here are 5 things you may want to consider when decorating a large interior space. 1. Emphasize the focal points of the space. What is the most important part of the room - the focus? Perhaps there's a large fireplace, a set of windows with a beautiful view, or a countertop for serving guests. Arranging your decor in service of this focal point can make it easier to decide how to use a massive space. Does your furniture need to face the windows so the view can be appreciated? If the fireplace is important, perhaps some architectural elements like columns near the fireplace could be a good option. Whether you want your space to be cozy or open, this is an important consideration for its design. 2. Find smart places for furniture. Placing furniture in an arrangement that breaks up the space is a great way to create a sense of coziness, but it can be hard to know the best approach. Leah Preston, who works for staySky Suites I-Drive Orlando, often deals with this problem when making design choices for hotel lobbies - which must remain open so that guests can navigate easily, but also feel inviting and warm, like home. "One of the best ways is to create small spaces within your larger space - spaces for sitting, talking, waiting, and reading. Furniture should be arranged within the room, not along walls, and seating can be clustered in small groups that face one another, like mini-living rooms," Leah suggests. 3. Choose furniture styles appropriately. Furniture styles are affected by the room they're in. When choosing furniture for a large room, rounded, simple furniture tends to look best. Choose furniture with arms, skirts and large elements that help the pieces live within the room without looking skeletal or bare. Avoid idiosycratic styles like antiques or modernist furniture. 4. Consider what your walls and ceilings are doing. Color and pattern choices have a huge impact the perceived size of your room. Want to make a large space cozier? Rich, bold colors on the walls will make a room feel cozier, and horizontal lines can make a high ceiling appear lower. Break up long stretches of walls with artwork, plants, and sculptures. Sometimes, though, you'll want to use the size of the room as a way to create a create a dramatic, open look and feel. In these cases, choosing lighter colors for the walls and ceiling may be an appropriate choice. 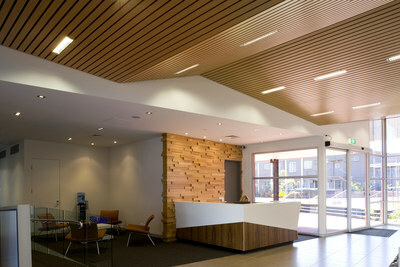 Alternatively, for an architectural statement, acoustic panels can create a space that has a "wow" factor. Many available panels are textured and made from a wide range of materials. 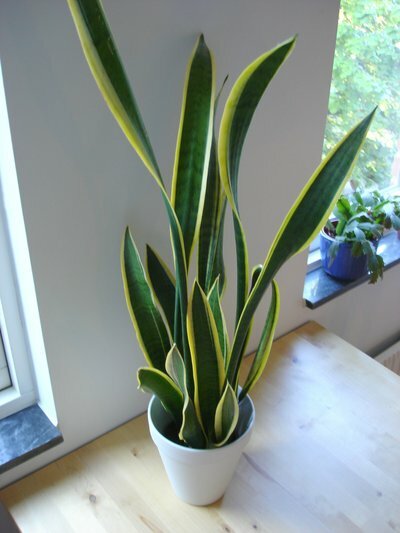 In particular, large plants have the perfect home in a space with high ceilings and wide open floor plans. This is a great opportunity to bring in potted palms and other indoor trees. Smaller plants on tables and stands can also be a classy addition. If you don't have a green thumb, don't worry - most people don't look twice at a fake plant.